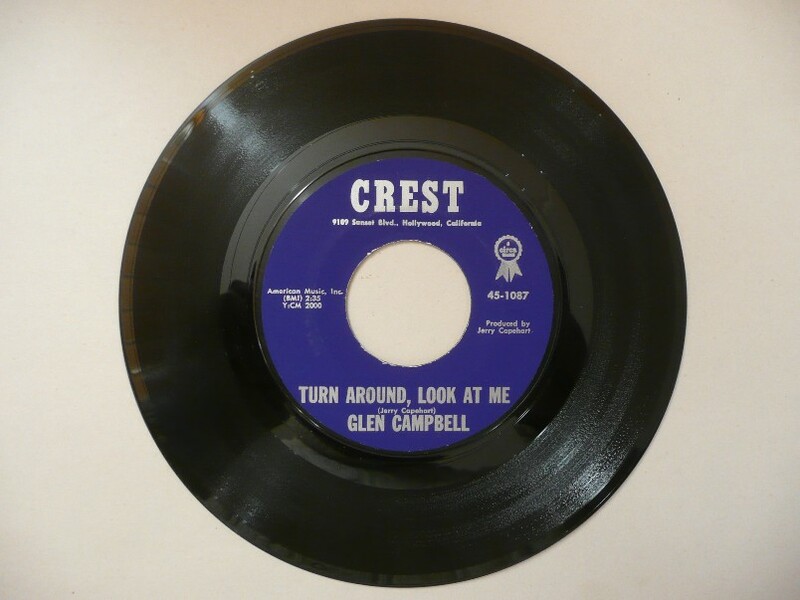 The original version of "Turn Around, Look At Me" was Campbell's first hit, released on Crest 45-1087 in October, 1961. The Vogues made the Top Ten with the number in 1968. Campbell was a frequent session musician in Nashville and even played on some Elvis recordings, notably those from the sessions that gave us the excellent "Viva Las Vegas" soundtrack. Only poor audience recordings exist of Elvis singing this song in concert, the first dating from the 13 November 1971 performance in Dallas, Texas. Another, rather better recording, was made at Asheville on 23 July 1975, as well as numerous other impromptu performances during 1974 and 1975. Turn around look at me. Turn around look at someone.